Friday, March 28th - Lafayette County Annual Lincoln Dinner. 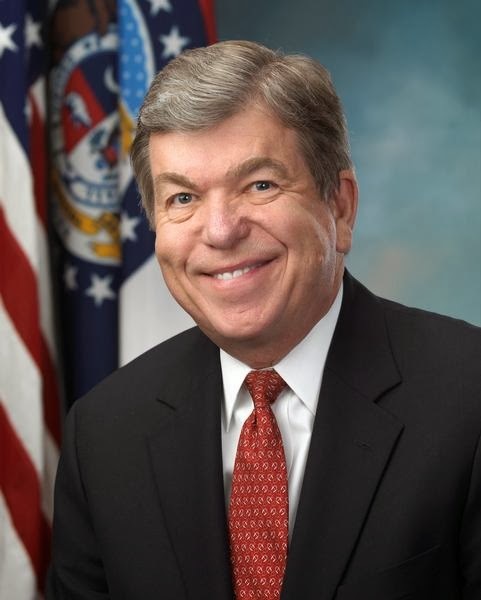 Building on a background as a public servant, university president and teacher, United States Senator Roy Blunt was elected by the people of Missouri to the United States Senate in 2010. Appetizers and meet-and-greet at 6:30 PM. Location: Community Christian Center, 710 W. 224 Highway, Wellington, Mo. Dinner served at 7 PM by Nadler's Catering of Wellington. Ticket price: $25 per person, or event sponsorship information is below. TICKETS MAY BE PICKED UP AT THE EVENT. Please send reservations to Heidi Kolkmeyer, treasurer, at PO Box 56, Wellington, MO 64097 or to Lafayette County Republicans, PO Box 42, Lexington, MO 64067. For more information, post questions or send messages to our Lafayette County Republicans Facebook page: https://www.facebook.com/lafayettecountyrepublicans . 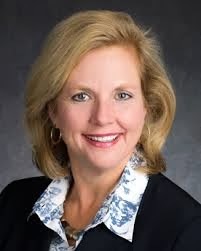 NOTE: Special remarks by Catherine Hanaway, early candidate for Governor 2016. Visit her website here. And find her on Facebook here. 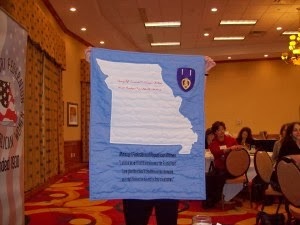 The Purple Heart Quilt was officially unveiled at the 2014 MoFRW Board Meeting January 11, 2014, by Leila Cohoon. Leila has been working tirelessly to promote the Purple Heart recipients in the state of Missouri and has the names of two women embroidered on the quilt so far. Anyone who has information about recipients from the state of Missouri needs to contact your local Federated Republican Women's Club who can contact Leila Cohoon for you.